The Best Florida blogs from thousands of top Florida blogs in our index using search and social metrics. Data will be refreshed once a week. Also check out Top Florida Youtube Channels list for Top videos on Florida. Florida newsletter is a comprehensive summary of the day's most important blog posts and news articles from the best Florida websites on the web, and delivered to your email inbox each morning. To subscribe, simply provide us with your email address. Florida, USA About Blog Plan a Florida weekend getaway and find regional Florida events and festivals. We'll help you find the best Florida restaurants and bars, theme park tips and outdoor Florida activities. Facebook fans 42,376. Twitter followers 399. San Francisco, CA About Blog Florida is Reddit's one stop shop for news and discussion about the sunshine state! Talk to residents, or plan a vacation! Or, find the city or community you're looking for through our related subreddits system. Facebook fans 1,170,833. Twitter followers 530,098. Fort Lauderdale, Florida About Blog SouthFlorida.com is your guide to the best events, restaurants, bars and entertainment in Miami, Fort Lauderdale and Palm Beach County. Facebook fans 18,606. Twitter followers 13,430. Central Florida, Polk County About Blog Visit Central Florida for an affordable vacation, business or sporting event. Polk County is close to the best attractions, golf courses, fishing and camping. Facebook fans 32,395. Twitter followers 19,646. Mount Dora, Florida, USA About Blog Florida day trips are the most popular feature of Florida-Backroads-Travel.com. Maps of scenic routes and places to visit. Facebook fans 61,364. Twitter followers 2,960. Florida About Blog Florida Politics is a statewide, new media platform covering campaigns, elections, government, policy, and lobbying in Florida. Facebook fans n/a. Twitter followers 9,025. Gainesville, FL About Blog The official website of the Florida Gators, featuring news, schedules, results, rosters, tickets and more. Facebook fans 1,615,649. Twitter followers 294,532. Orlando, FL About Blog Katrina Belle is an Orlando Florida fashion blogger and food blogger. Apart from her own website and social media, she has written for College Fashionista and the renowned Orlando chef's blog celebritychef4u. She is the founder of #otownbloggersquad, a collaborative community of over fifty bloggers all based in Orlando, Florida. Her creative and engaging posts have led to a following that has blossomed to over 100,000 people in less than a year. Facebook fans 204,219. Twitter followers 1,742. Tallahassee, FL About Blog The Largest Free & Credentialed Florida State Sports Media Outlet. Facebook fans 104,513. Twitter followers 13,706. Central Florida About Blog Get outdoors in Florida with your guide to Florida's trails by Sandra Friend, Florida's hiking expert, and her co-author John Keatley, covering outdoor recreation throughout Florida, including the statewide Florida Trail. Facebook fans 37,845. Twitter followers 1,817. Florida About Blog Securing Equality & Justice for Florida's Lesbian, Gay, Bisexual, & Transgender Community | Equality Florida. Facebook fans 80,024. Twitter followers 11,801. San Francisco, CA About Blog Get all the inside and outside news of your favourite team Miami Heat. Facebook fans 1,171,077. Twitter followers 530,496. Tampa Bay About Blog Your best source for quality Tampa Bay Buccaneers news, rumors, analysis, stats and scores from the fan perspective. Facebook fans 18,203. Twitter followers 9,325. San Francisco, CA About Blog Florida Gators related content: OC, analysis, opinion, news and discussion. Facebook fans 1,171,073. Twitter followers 530,496. Miami, FL About Blog Your best source for quality Miami Dolphins news, rumors, analysis, stats and scores from the fan perspective. Facebook fans 13,725. Twitter followers 11,720. Facebook fans 1,187,126. Twitter followers 556,240. Orlando, FL About Blog Great deals and reviews for Florida vacation rentals, beach houses, and condo rentals from FloridaRentals.com. Over 1500 vacation homes for rent by owner in Kissimmee, Cape Coral, Orlando, Davenport, Panama City Beach and more. Facebook fans 386. Twitter followers 4. Florida About Blog We are Florida's largest residential developer and homebuilder, specializing in custom homes. ICI Homes has built thousands of homes in most major Florida markets, including the counties of Volusia, Flagler, St. Johns, Duval, Nassau, Seminole, Orange, Osceola and Brevard. Facebook fans 14,500. Twitter followers 1,673. Miami, Florida About Blog David Oscar Markus is the author of the Southern District of Florida Blog, which discusses trials and appeals in federal court in South Florida. Facebook fans n/a. Twitter followers 1,314. Brooksville, FL About Blog An Insider’s Guide to Nature Coasting™ Naturecoaster.com helps you get acquainted with Florida’s Nature Coast before you arrive and find fun-filled things to do while you are here: whether you are visiting or have chosen to stay. It is more of an online magazine that was born from its publisher's need to share the best of Citrus, Hernando and Pasco counties, after years of publishing the magazine. Facebook fans 1,349. Twitter followers 476. Facebook fans 684. Twitter followers 1,178. North Central Florida About Blog Natural North Florida holds a variety of wonder around every turn. With day trips, extended trips, camping, hiking and more, plan your trip to North Florida. Facebook fans 1,686. Twitter followers 426. Northeast Florida About Blog From Amelia Island to the Palm Coast, Florida’s First Coast of Golf is the ultimate source for your Florida golf vacation. Facebook fans 9,046. Twitter followers 459. Lake Worth, FL About Blog A Guide to Florida's Farms and Ranches, Markets, Farm-Friendly Restaurants, and More. Building a community that connects Florida small farmers, food producers & chefs focused on locally sourced foods, and markets around the state to consumers. Facebook fans 5,029. Twitter followers 449. Florida About Blog Florida Beer Blog is devoted to great beers in the Sunshine State. It provides news, reviews, and information about the burgeoning Florida craft beer scene. Facebook fans 653. Twitter followers 1,980. Ft. Lauderdale, Florida About Blog A Blog about South Florida Waterfront and Luxury Real Estate and Lifestyle, including Real Estate in Ft. Lauderdale, Palm Beach, and Miami. Facebook fans 1,098. Twitter followers 3,844. Tampabay Florida About Blog This page is so locals can ( WIN ) great FREE things from our local businesses. Enjoy free services, gift cards and gifts from our local businesses. Facebook fans 2,058. Twitter followers 1,303. About Blog Secular spiritual practices, psychological coping skills, and the relevance of anthropocentrism are featured in this Florida psychologist's blog. Florida, USA About Blog Celebrating All Things Florida. I wanted to put together a magazine that served as the voice of Florida – past and present. My vision for this site is to put a spotlight on some of the unique things about the Sunshine State that many people may not know or may have forgotten. We will visit places off the beaten path, take a look at the history of some of the smaller towns, learn a little more about some of the unique individuals that make up our state. Facebook fans 659. Twitter followers 116. NW Florida's Panhandle About Blog 30A real estate in Walton County is among the finest FL beach property for sale. We pride ourselves on educating you in the local market. Facebook fans 8,784. Twitter followers 1,542. West Palm Beach, FL, 33405 About Blog The biggest and best team of reporters out there covering the Miami Dolphins like no one else in South Florida. Facebook fans 98,863. Twitter followers 3,457. Orlando, Florida About Blog Welcome to Florida! As locals, we live, work, and play in the #1 tourist destination in the world. This is our home and we love to share it with our friends around the world. Facebook fans 22,658. Twitter followers 44,476. Florida About Blog VISIT FLORIDA, the state’s official tourism marketing corporation, serves as Florida’s official source for travel planning to visitors across the globe. Facebook fans 6,599. Twitter followers 55,595. South Florida About Blog Seaside Properties Group at Douglas Elliman Specializes in Luxury Waterfront Real Estate in Miami, Fort Lauderdale and Palm Beach. Facebook fans 18,320. Twitter followers 243. Hernando County, FL About Blog Hernando County is Florida's Adventure Coast. Explore the vacation destination with mermaids, manatees, and endless outdoor adventures. Facebook fans 51,911. Twitter followers 665. Florida About Blog Florida on the Cheap writes about deals, discounts and free events in the Sunshine State. Facebook fans 856. Twitter followers 666. Florida About Blog how to Do florida is a broadcast show that entertains, teaches, and encourages Floridians to actively engage their state. Facebook fans 83,811. Twitter followers 2,495. Heathrow, FL About Blog Real estate, business & visitor's guide that promotes the area of Heathrow & Lake Mary, FL to a global audience for tourism, investment & career opportunities. We are a family friendly online community. Facebook fans 973. Twitter followers 301. Fort Lauderdale, Florida About Blog Florida Luxurious Properties blog shares information, opinions, expertise about real estate trends, market updates and local insights including local community events and changes. Florida Luxurious Properties is a boutique real estate brokerage. Facebook fans 781. Twitter followers 29. 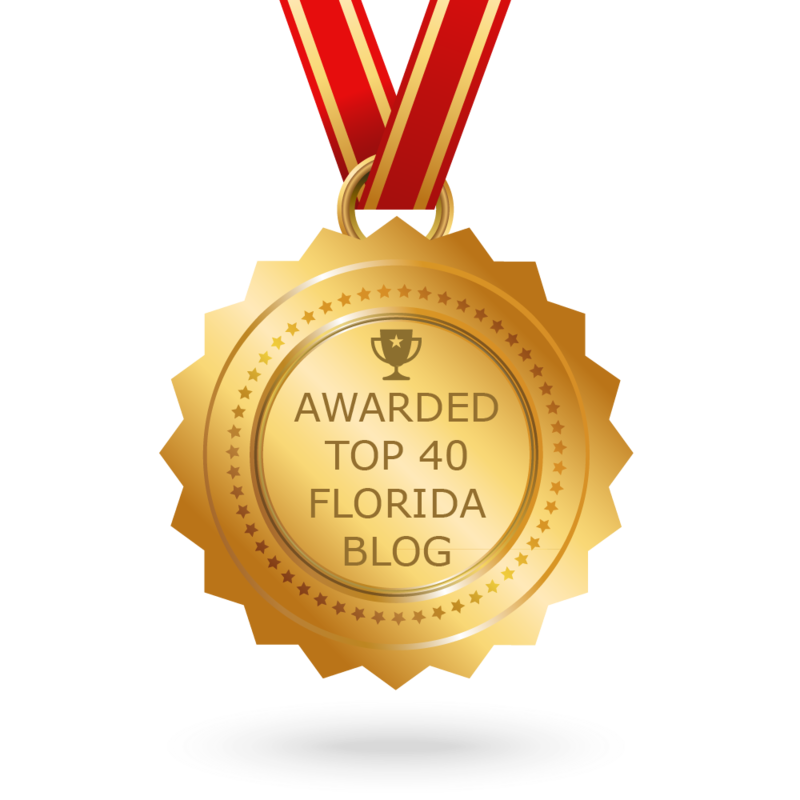 CONGRATULATIONS to every blogger that has made this Top Florida Blogs list! This is the most comprehensive list of best Florida blogs on the internet and I’m honoured to have you as part of this! I personally give you a high-five and want to thank you for your contribution to this world.